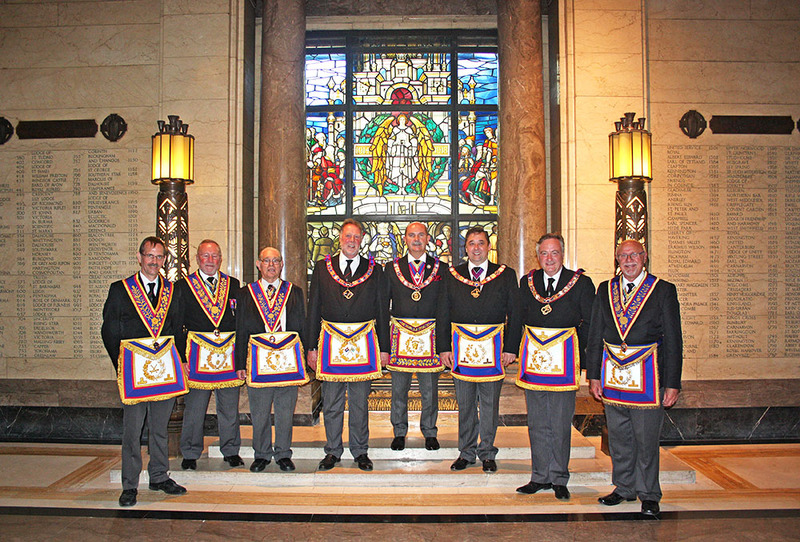 This year's Annual Investiture meeting of the Grand Lodge of Mark Master Masons of England and Wales and its Districts and Lodges Overseas was a marvellous occasion with many Kent Brethren receiving appointments or promotions. RW Bro. Archie Torrance, Provincial Grand Master, said: "I was delighted to be present to share their special day and it gave me great joy every time the Mark Province of Kent was mentioned. Given that it was The Most Worshipful Grand Master, HRH Prince Michael of Kent GCVO, who was presiding, and personally investing all recipients, the event was made even more special. Well done to everyone who was honoured. I am sure you will wear your new regalia with pride. I look forward to working with you all in your new capacity."